The rent at Regency Club Apartments ranges from $1,392 for a two bedroom to a $1,900 three bedroom. Apartments in this building are about 6% more expensive than the Ferndale average. This is a pet-friendly apartment. This apartment is in Ferndale. Nearby parks include Arundel Hills Park, Pleasantville Park and North Glen Park. Regency Club Apartments has a Walk Score of 26 out of 100. This location is a Car-Dependent neighborhood so most errands require a car. Revitalize your lifestyle at Regency Club where we offer a complete amenity package designed to invigorate you! With our refreshing swimming pool, business center and fully loaded fitness center there is always something to do! We also offer both spacious apartments and townhomes with all of the comforts of home. Our location is ideal for our residents that are on the go! We are just minutes away from Annapolis, The Inner Harbor, Routes 2 and 10, I-97, The Baltimore Beltway and offer easy access to The BWI Airport. Revitalize your lifestyle today by making Regency Club your new home! Explore how far you can travel by car, bus, bike and foot from Regency Club Apartments. Regency Club Apartments has minimal transit which means it is possible to get on a bus. Car sharing is available from RelayRides. View all Ferndale apartments on a map. Search for homes in Ferndale or find a Ferndale real estate agent who knows walkable neighborhoods. Links will open on our partner site Redfin.com. 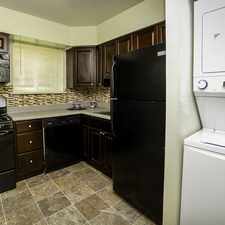 Regency Club Apartments is in the city of Ferndale, MD. Ferndale has an average Walk Score of 32 and has 16,746 residents. Furnished Studio - Baltimore - BWl Airport - International Dr.